Sunday, April 7 – 41-5 PM – First Sunday in downtown Pittsboro. Come have a glass! Wednesday, April 10 @ 7 PM – Fess Parker California Pop-up Wine Dinner at Vino w/ Chef Regan Stachler and Liz Cooper, Advanced Sommelier. 4 spots left! Friday, April 19 – 5-7 PM – Free Tasting w/Michael Freas of Fine Wine Trading Co.
Tuesday, April 23 – 6-7 PM – Mexican Wine Seminar. Contact Vino for more details. 18 spots left. Sunday, May 5 – 1-5 PM – First Sunday in downtown Pittsboro. Come in for a glass! 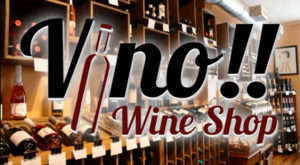 Saturday, May 18 – 2-4 PM – Pittsboro Wine Fest at Pittsboro Roadhouse! ** We also organize private tastings on any day except Friday nights. Please contact us if you are interested for the details.